It was time for a change. Headquarters as you know it is gone... Its Scandinavian layout has been completely redesigned, and new content and new ideas are being brought to its association readers. The flagship association magazine has also inaugurated series of fresh articles and exclusive interviews; its partnerships with European and International Societies of Association Executives have been consolidated and more emphasis has been put on destinations wishing to welcome associations. This is testament to a will to move forward. In this regard, Meeting Media Company has set up a network of international representatives, and is now present in all corners of the globe, from Latin America to Asia, from Africa to Europe. With the hiring of China-born Vivian Xu and Spanish speaking Jesús Guerrero Chacón, Headquarters is definitely looking in the right directions. Meeting Media Company has also set up an exclusive partnership with the Paris, Frankfurt and Barcelona airports. 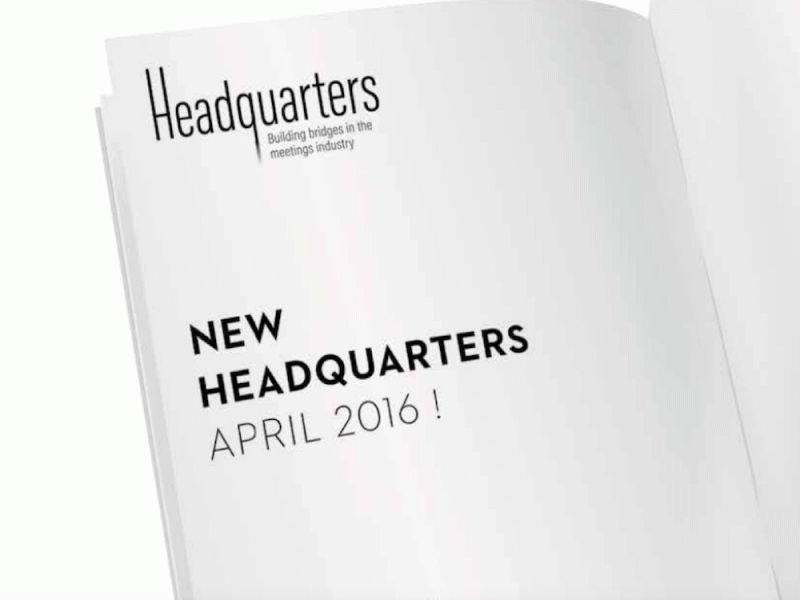 Headquarters and MIM Europe Magazines are now the only MICE publications to be distributed in their business lounges.